What is the Oracle OpenWorld 2018 Event? Leading CEOs and industry representatives will be attending the Oracle OpenWorld 2018 in San Francisco next week. For years Oracle’s community hub of technology and business professional have collaborated at the Oracle OpenWorld to discuss and solve challenges, learn about innovative products and find inspiration. The event provides a conference pass enabling attendees to gain access to over 2,000 educational sessions, training and tutorials on emerging technologies and networking opportunities. Oracle OpenWorld 2018 will include case studies from over 300 Oracle customers, including FedEx, Gap and American Red Cross and how these businesses use the latest cloud products and technology. The conference will focus on how companies like these have transformed their products, integrated their business processes and successfully implemented their own strategies. As in previous years, registrants can utilise an online tool to schedule all their sessions via the Oracle OpenWorld site. Some of the key themes at the conference include Your Autonomous Future (autonomous database, AI and machine learning), Tomorrow’s ERP, Evolving Customer Experience and Actionable Business Insights (data analytics, business intelligence and forecasting). High profile speakers at the event include former US Homeland Security head Jeh Johnson, Glitch CEO Anil Dash and Snips CEO Rand Hindi. 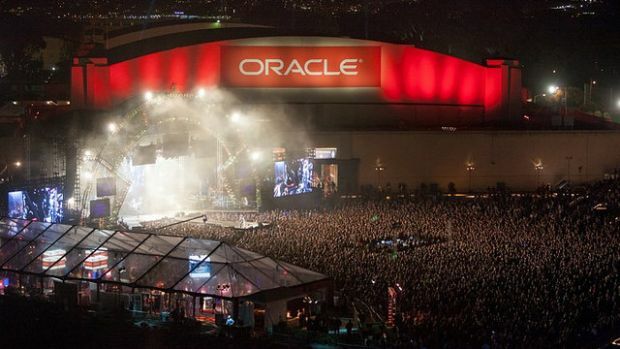 Oracle will also be hosting three additional events in San Francisco to complement Oracle OpenWorld. Oracle Code One event will expand on previous JavaOne developer events with more languages, technology and developer communities. Oracle Leaders Circle event will include presentations from leading industry members, such Amity Millhiser, the Chief Client Officer at PwC. For many businesses, managing financial consolidation is a challenge that involves time and multiple resources that could be used more effectively for analysis and decision making. Oracle Financial Consolidation and Close Cloud Service provides an end to end solution for effectively managing the consolidation and closed process. Whatever size the company is, businesses can have complete confidence in their financial consolidation and overall reporting processes. The system enables the process is correct, timely. completely transparent, compliant and auditable. Oracle’s Financial Consolidation and Close Cloud Service is a cloud solution that can be implemented to meet the requirements of each individual business. Applying best practices enables companies to develop an application that meets their business needs, without the addition of other functions that are not required. Oracle explains that the service enables companies to combine a leading consolidation solution with the capability to customise the solution for all the features they require. Oracle highlight that it is essential that businesses implement a consolidation and close solution to make their activities more effective, efficient and easier to manage. The Oracle Financial Consolidation and Cloud Service provide a range of useful reasonings for businesses to choose this solution for their close and consolidation strategies. View the agenda of the upcoming Oracle OpenWorld 2018 event.